7 Nov - Chinese actor Hu Ge was recently honoured with the Asian Special Contribution award at the 10th anniversary of Asian TV Drama Conference in Japan. According to CRI News, the 33-year-old won the award for his two dramas, 2014's "Inspiration in Life" and 2015's "Good Time". 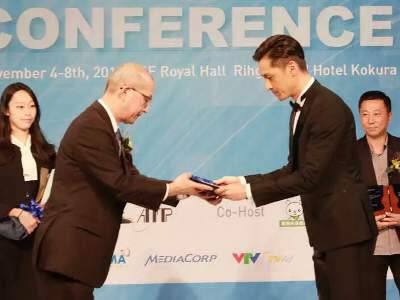 Accepting the award at the event held recently in Fukuoka, Hu Ge thanked the Asian TV Drama Conference for the recognition. "I would not be able to achieve this without a wonderful script and a strong production team," said the actor. This is the first time that the ATDC presented the award to an individual.